this will be up for a giveaway soon. Loving that TMI set! Need to read Angel Fire. I got the Walker books too. Aren't they gorgeous! 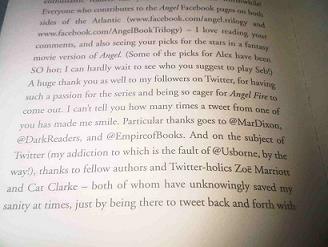 That's so awesome that you're quoted and mentioned in Angel Fire. 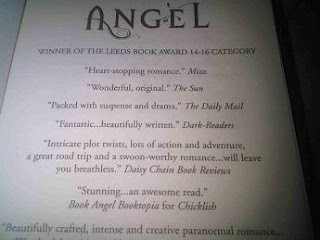 I've heard a lot of good things about the first book, so I'll definitely need to get a copy of that soon. Squee! 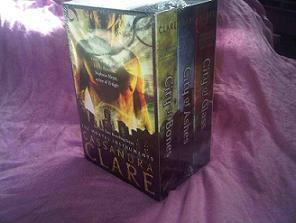 The Boxset! 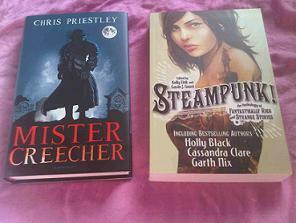 Great books this week! Have fun! 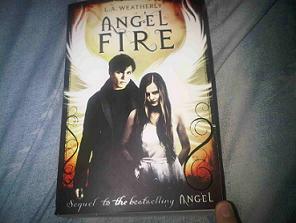 I love The Mortal Instruments and look forward to Angel Fire. You're so lucky to get these books! I was waiting for their release for half a year! And finally I can order them. Hope I can use Essaylib.com discounts for this purchase.